Now that I have additional things added to the site that I felt were necessary, what other forums or subforums should I add to the site? 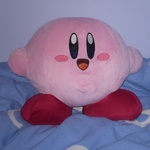 I have considered adding a "Kirby Fan Games" subforum to Fanwork Forest, but I need to know if anyone would be interested in such a subforum first. I have created a poll so I can see the results from each side clearly. We have subforums for television and books in GD. Why not movies or sports? Rules for movies would be similar to television and books. For sports, we cannot disparage fans of rival sports teams or make heated debates with regards to particular rules in sports. For fanworks, there should be a forum for music as well; there's plenty of remixes of various compositions in various Kirby games.